We are proud to have powered the largest internet event in the country. 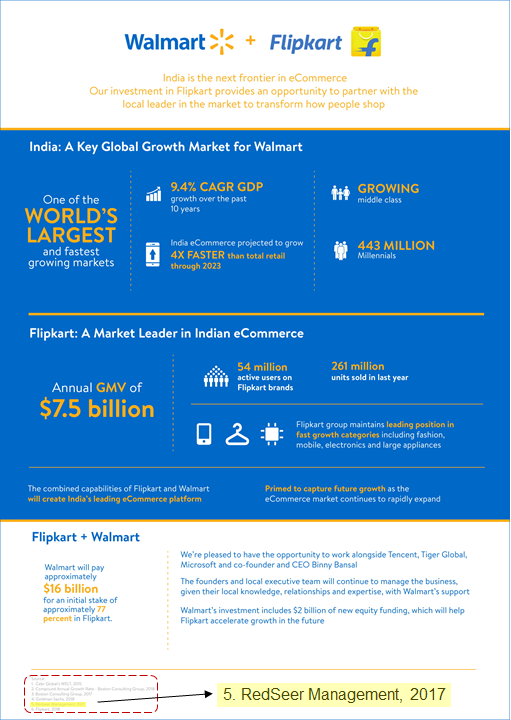 The endorsement by Walmart is a validation of our deep insights and the watch over the Indian internet market. What differentiates us is our focus on new age consumer-facing businesses and research-intensive bottoms up methodology. It has been 9 years since our inception. And needless to say, the journey has been phenomenal so far. We are currently one of the largest homegrown advisory company and the largest in the consumer internet space. During this time we have been able to work on 2000+ engagements with more than 200 clients. We proudly advise 90%+ of Indian consumer internet businesses. 70-80% of investors have been able to collectively invest close to $8Bn across various businesses in India using our advisory services. To know more about our work and experience, feel free to write to us.